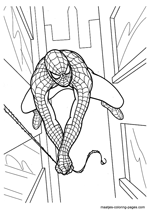 Spiderman is a fictional Marvel Comics superhero. 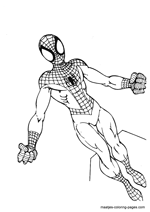 The character was created by scripter and editor Stan Lee and designed by artists and plotters Steve Ditko and Jack Kirby and first appeared in Amazing Fantasy #15 (August 1962). 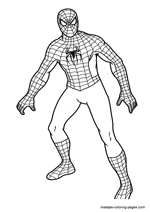 Lee and Ditko conceived of the character as an orphan being raised by his Aunt May and Uncle Ben as an ordinary teenager, having to deal with the normal struggles of youth in addition to those of a costumed crime fighter. 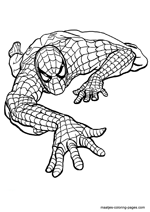 Spiderman's creators gave him the ability to cling to walls, shoot spider-webs using devices of his own invention which he called "web-shooters," and react to danger quickly with his "spider-sense," enabling him to combat his foes, including Doctor Octopus, the Sandman, the Lizard, the Green Goblin, Venom and others. 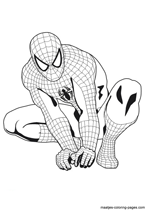 When Spiderman first appeared in the early 1960s, teenagers in superhero comic books were usually relegated to the role of sidekick to the protagonist. 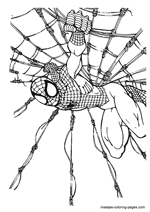 The Spiderman series broke ground by featuring Peter Parker, a teenage high school student to whose "self-obsessions with rejection, inadequacy, and loneliness" young readers could easily relate. 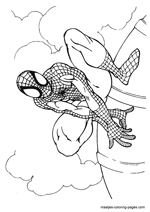 Unlike previous teen heroes such as James Buchanan "Bucky" Barnes and Robin, Spiderman did not benefit from being the protege of any adult mentors like Captain America and Batman, and thus he had to learn for himself that "with great power comes great responsibility" � a line included in a text box in the final panel of the first Spiderman story, but later retroactively attributed to his guardian, Uncle Ben. 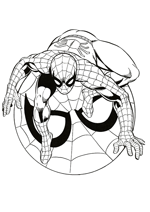 Marvel has featured Spiderman in several comic book series, the first and longest-lasting of which is titled The Amazing Spiderman. Over the years, the Peter Parker character has developed from shy high school student to troubled college student to a married teacher and a member of the superhero team the New Avengers. 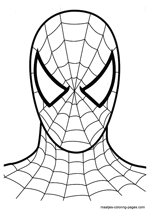 In the comics, Spider-Man is often referred to as "Spidey," "web-slinger," "wall-crawler," or "web-head." 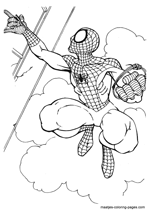 Spiderman is one of the most popular and commercially successful superheroes. 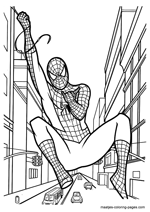 As Marvel's flagship character and company mascot, he has appeared in many forms of media, including several animated and live-action television shows, syndicated newspaper comic strips and a successful series of films starring actor Tobey Maguire as the "friendly neighborhood" hero. 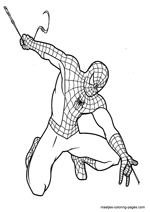 Spiderman was named Empire magazine's fifth greatest comic book character.